There’s something magical about getaways to a cabin. The natural surroundings and simplicity of this kind of place are like a fresh breeze coming into our materially cluttered lives. Spanish architects from the Ch+qs studio brought this feeling into their mastery of unique architecture. 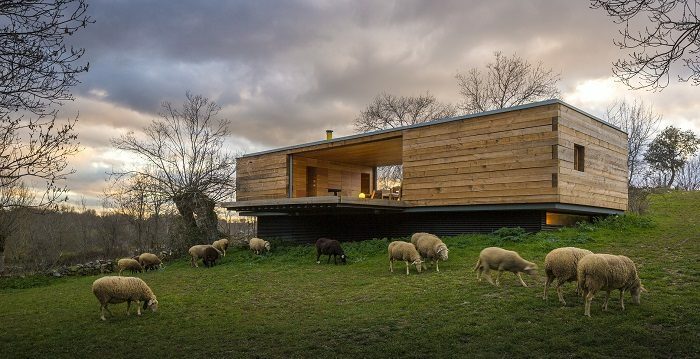 A simple house made entirely of wood and glass is situated in the open expanse of nature. The heart of the house is made of glass on both sides, giving a breathtaking view and easy access outside. What may seem like a small cubical is actually two floors, which can easily fit a family plus unexpected weekend guests. In short, it’s got all we truly need.